Whiskeymarie: Use this time to finally dislodge that piece of spinach from your teeth or other productive pursuits. Use this time to finally dislodge that piece of spinach from your teeth or other productive pursuits. As a loyal, non-paid "employee" of blogland, it has come to my attention that I have approximately 4.5 months of vacation, sick time and "none of your damn business" time accrued. Although I am still remorseful over the "hot dog incident" that sparked some 325-odd lawsuits, and Betty in human resources still isn't speaking to me, I believe that I am still entitled to those benefits outlined in my contract. Therefore, effective today, June 29, 2008, I am officially taking a week off (well, week-ish off anyways.) I will be working on my house and flossing my cats, in case you're wondering. I may also spend some quality time lounging by the pool (bathtub) with my loyal manservant Renaldo (my husband and/or cats) bringing me daiquiris (Boone's farm) and hors d'oeuvres (Doritos). Have a great week and don't cheat on me while I'm gone. Oh, and I marked all of the liquor bottles- lord knows I can't trust you kids. Presenting the mother of all Online Showers! The lovely Lollie (link) is expecting her first little wee-nut August 2nd! As much as we wanted to hop on the first plane headed to sunny Fl to celebrate with her in person sadly that wasn’t to be. 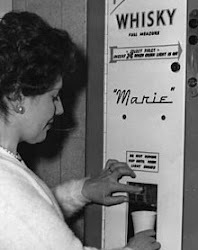 So we, the two WMs: WhiskeyMarie & Worker Mommy are throwing her one helluva of a cyber shower and you’re all invited! We’ve got presents from some terrific sponsors and games so grab a drink, sit back, relax and we’ll tell you how you can join in the festivities and possibly take home some goodies of your own. The presents: Happy Panda Baby graciously offered to sponsor this shindig and will be sending their super hip flawless sleep set for the baby to be - because we know that any baby of Lollie’s will be just that - flawless. The folks at Belli Skin Care, who make the most divine natural and safe (link to testing) products for expectant / new moms and babies have offered up a gift from their fabulous BelliBaby line. Finally, what’s a party with out cake? Mommysbabycakes is donating a fabulous three tiered diaper cake and matching diaper bassinet/k pictured for mom and baby. The cool thing about this cake is that all items are 100 % reusable and this cake will not make you gain extra lbs! Check out Mommy she’s got some of the best prices out there. And you …just how do you fit in? Well we want you to share the love. Create a post in honor of Lollie and her baby using the following 20 words : nursery, diaper, bottle, onesie, crib, stroller, binky, booties, blankie, baby powder magician , practical , fedora, cinema, petunia, bison, airplane , organic , computerized, gesture. RE: "Betty in human resources still isn't speaking to me"
How long have I been telling you that there are problems in the HR Dept. I STILL haven't received my WMVP Pedicurist application - gah! Okay, well, I guess you HAVE earned some down time, even though you're taking it right when you're a FEATURED blog star in Time magazine (okay, not really, it's just my blog). Slacker. Drunkey slacker! Oh hell. Have fun by the pool and stay away from MAN belts with puddings in them. Flossing your cats? That sounds maybe really dangerous. I hope you make it out without scars. I kinda think it would be funny if "boys" participated in the online shower. But that's just me. They might disagree. Y'all come see me if you wanna hang. (oh and as much as I heart WM she totally posted my rough draft complete with wacky tabacc-y induced typos- ok not really but how else do I explain 'whens" instead of "wins". And WM enjoy vacay ! Thanks for the invite! Loved the shower...and congrats Lollie. You will be missed during the next week. Go and enjoy the relaxation, drinks...flossing! What does that really mean? Go and have fun. See you when you return. Don't get me started on Betty in HR. I was talking with Doris in Accounts Receivable just the other day about how incompetent Betty has been lately. It's ridiculous. Enjoy the break... and whatever it is you have going on underneath the astericks. Holy Baby Crap - I've been Virtually Showered (good thing because I didn't actually shower this morning...)!! Thanks Pals! How sweet. One question. Can I eat the Babycake? I'm starving. Betty is a whore anyway, so don't even worry about it. You'll be missed--but have a great time on you break...well, I guess taking a break from blogging to work on your house isn't exactly a great time. Well, drink lots of wine, anyway! Lady- you totally deserve a break! Enjoy. I'm toasting you now with a stiff vodka soda. enjoy the time off...i'm sure you will more than make up for being gone with all the stories you will have for us when you come back! I'm in for the Baby Shower. May take me a few days to get my post together but I will manage. Surprise is on its way so make sure you check your email and your house mail!! Enjoy the break and live a little, especially with a 3-dayer coming up. 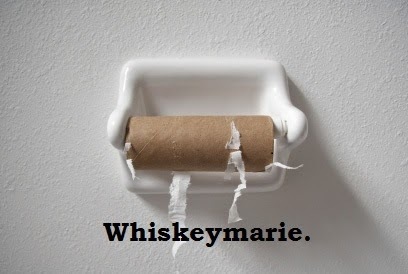 Anyone else having Whiskey Withdrawal? 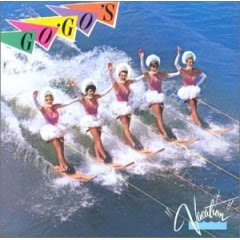 mmm, thanks i will now have the Go-Go's "Vacation" in my head for the next 4 days. thanks. thanks a lot. Best to you - enjoy the gap! Once flossed my cat - okay it was rescuing her from the new dog - and I ended up with a deep bite and cellulitis, looking like Hellboy the next day, and big pills. Be careful. You've been gone long enough now, Whiskey. Like my old boss Roy at my first job at teh Burger King used to say, "If you've got time to lean, you've got time to clean." aint home vacations the best -- and to be treated like royalty!